Soils are a key issue in the management of global environmental changes and food supply. 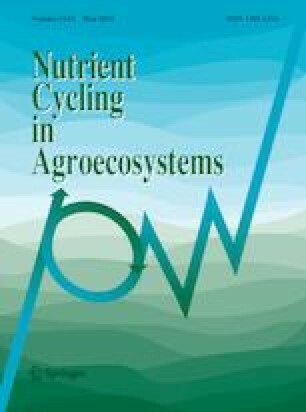 The goal of this work was to characterize the soil changes that were promoted by agriculture in Uruguay in the period 2002–2014. We analysed the association between pH, Ca2+, Mg2+, K+, Na+ and soil organic carbon (SOC) and its tendency through the years of soil analysis database 2002–2014 that belong to Experimental Station Alberto Boerger INIA La Estanzuela (Colonia, Uruguay). During the study period, the average soil pH, SOC, and exchangeable base content across the archive sample set were reduced. The exchangeable K+ content decreased by 0.04 mmol kg−1 year−1 with the increase in grain production. The SOC decreased by 0.43 mg (g year)−1 even when most agricultural activity followed a no-tillage system. A reduction of 0.02 units of pH per year also occurred. If these changes continue in the future, agricultural soils will significantly decrease their food production potential, and will not be adequate for sustainable crop production. Lefèvre C, Rekik F, Alcantara V, Wiese L (2017) Soil organic carbon: the hidden potential. Food and Agriculture Organization of the United Nations (FAO). http://www.fao.org/3/a-i6937e.pdf. Accessed 29 Dec 2018.